Headlights, rear lights and front indicators are inserted. Mirrors, specific, have no glass. The box is very (too) narrow to receive them. I had to place polystyrene shims to protect them. The rear tyres go crooked. 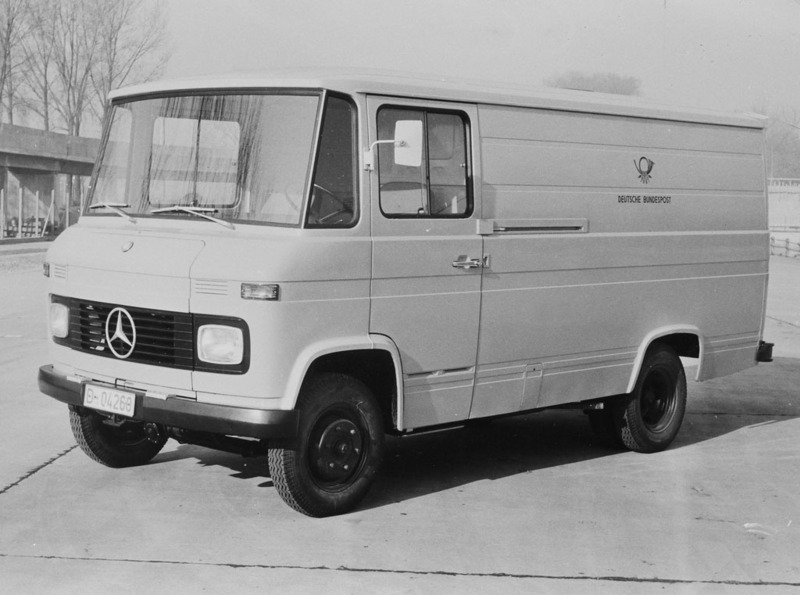 The Mercedes-Benz L 406 D, known as Düsseldorfer, was produced from 1967 to 1974. It was equipped with an OM 615/22 four-cylinder in-line diesel engine of 2.2 l, 60 hp. The LP 406 D was then replaced by 407 D until 1986. Attention: the Brekina model, with its black plastic grille including the headlights, dates from 1981. Compare with the picture below, from the forum baumaschinenbilder.de.